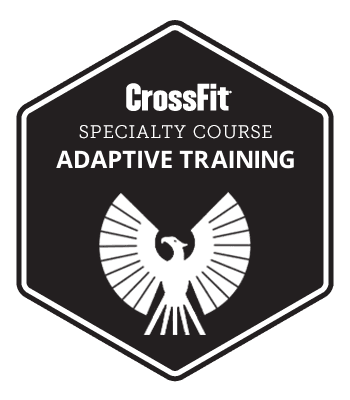 Through lecture and hands-on practical sessions, participants will learn about adaptive training theory and methods, as well as specific strategies for adapting individual movements and entire workouts. Participants will learn how to develop a single-day class plan (including warm-ups, progressions and cool-downs), practice programming multiple training days, and develop a long-term training plan for impaired athletes (from temporarily impaired to permanently adaptive). Attendees will receive access to additional training resources and education, and the seminar staff and adaptive community will provide ongoing support. *This course will focus on physical impairments and their subsequent limitations. Intellectual, developmental, and psychosocial impairments will be discussed but training methods will not be practiced.